Designer Duo Asha & Gautam Gupta recently launched their Handloom Collection, which presents a fresh approach to the good old art of handloom. Designer Gautam Gupta, an alumni of NIFT, launched his label Autré in 2011. Autré was a stepping-stone for Gupta to enter the prét market, for his dream was always to launch a handloom couture line under the mentorship of his mother Asha. 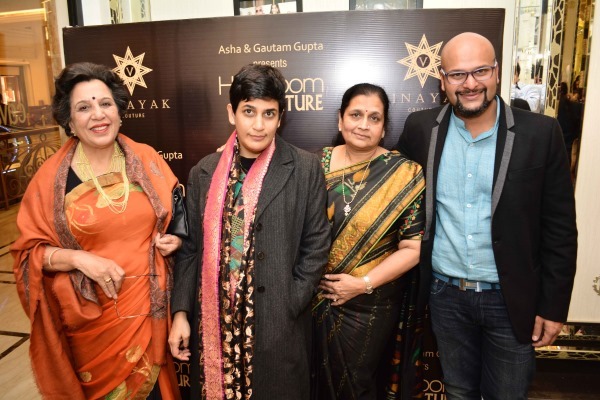 Gautam and Asha together began Vinayak Couture about a decade ago and recently they launched a bespoke handloom collection at Cavalli Café in Emporio, New Delhi. 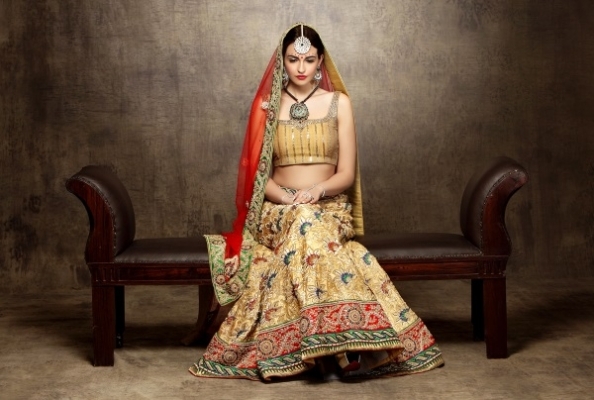 Vinayak Couture caters to the niche market of Indian heritage and artisan art. Their Handloom Couture Collection is an effort to revive the heritage Banarasi with a combination of petit point (Convent), Parsi Gara and Gota dori embroidery, which women with knowledge of these ancient arts would love to sport. At the launch of the bespoke handloom collection. (From Left to Right) Dr. Shyama Chona, Tamana, Asha Gupta and Gautam Gupta. The new bespoke handloom collection is a perfect example of classic meets contemporary. An ode to local artisans of Banaras, the collection features work by local artisans in the city of Banaras. 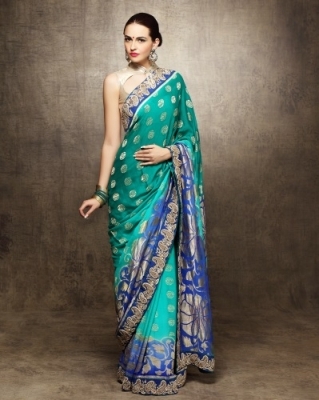 The collection mixes the golden art of handloom with beautiful colours and motifs. The new collection is made from pure handloom tussar, banarasi silk, jute net, and embellished with unique parsi gara, zardozi and kalamkari. In an effort to break the perception that handloom sarees are a serious affair, Asha and Guatam Gupta have used bright and vibrant colours and developed rare motif designs to give the sarees a fun and young appeal. “I am keen to hit the markets with my new handloom line and tie up with weavers from other areas such as Uppada, Kutch and Assam and revive the traditional Indian attire,” said Gautam Gupta. You can shop for the collection at M-8, Main Road, GK – I, New Delhi. 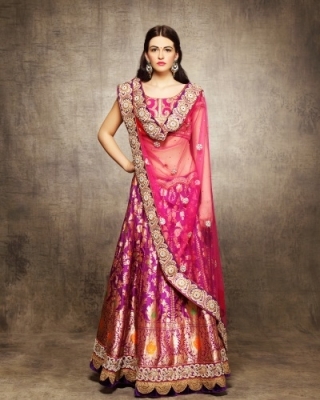 Tagged fashion, Indian Art, Indian designers, Luxurious lifestyles. Bookmark the permalink.